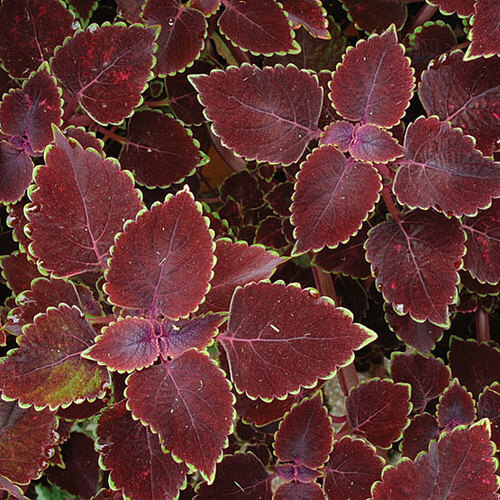 A. ficoidea ‘Red Threads’ is a slender-leaved perennial selection that doesn’t wander, forming a textured carpet in shades of deep burgundy. 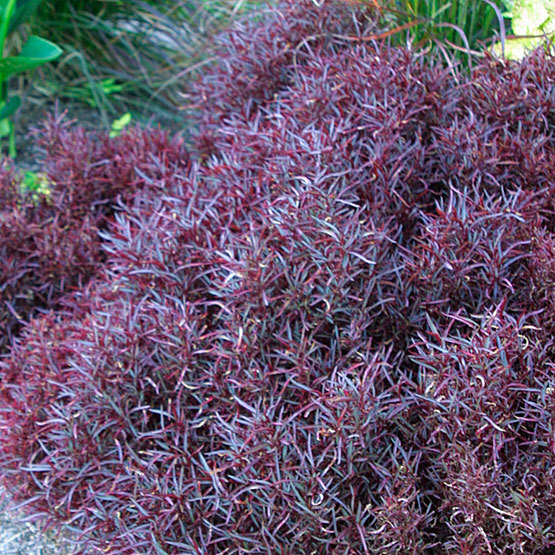 A single plant makes a mound about 8 inches tall and 14 inches wide. It blooms on and off all year, but you may never notice. The small, pale flower buttons are held in the leaf axils, where they are nearly indistinguishable from the foliage unless you’re paying close attention. 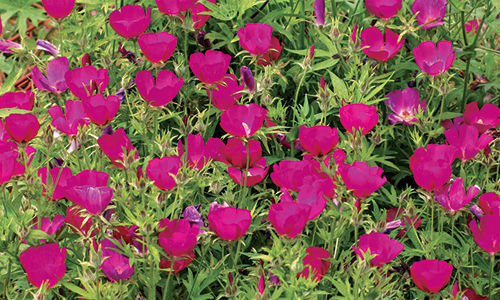 Use ‘Red Threads’ at the base of taller plants in the border to provide vibrant color echoes or contrasts. 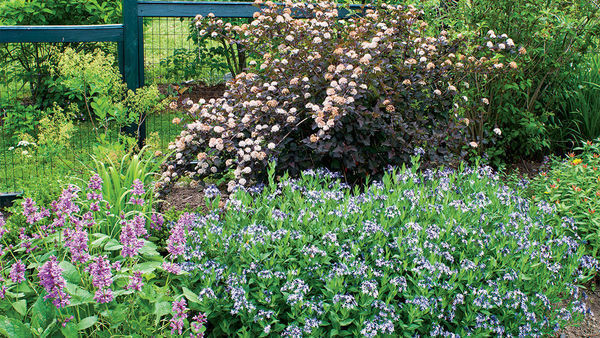 Grow as a warm-season annual in cooler climates, mass the plants in beds, or use in a formal knot garden as the Victorians did. 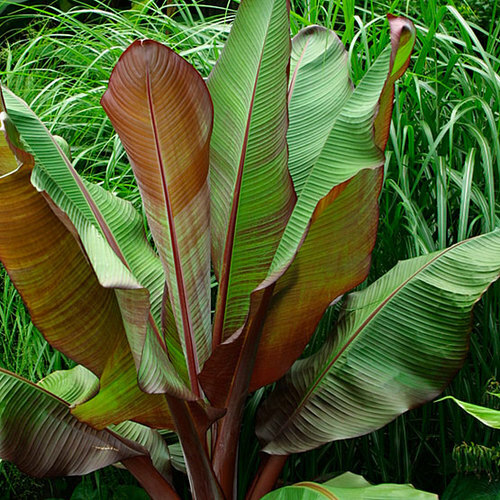 Noteworthy CharacteristicsColorful, fast-growing tropical plant. Easy to grow. CarePlant out after the frost-free date in moist but well-drained soil in full sun (for best leaf color) or in partial shade. Clip back to keep plants compact. 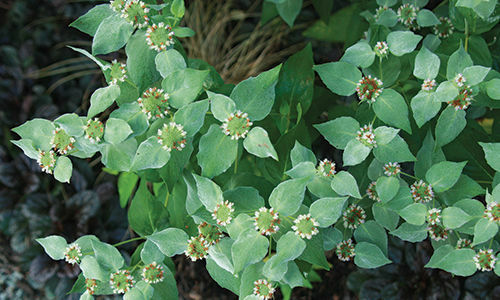 Indoors, grow in full light. Water only sparingly in winter. 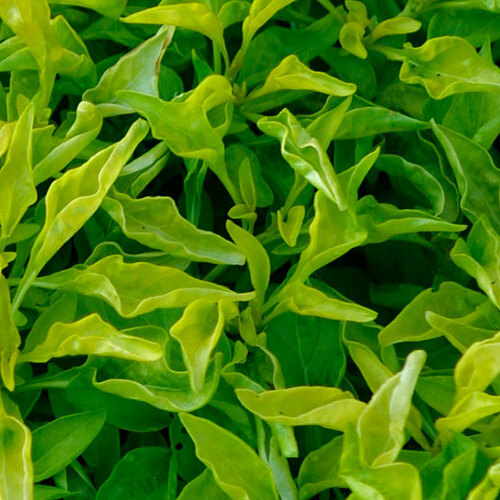 PropagationSow seed at 55° to 64°F as soon as ripe, or in spring. 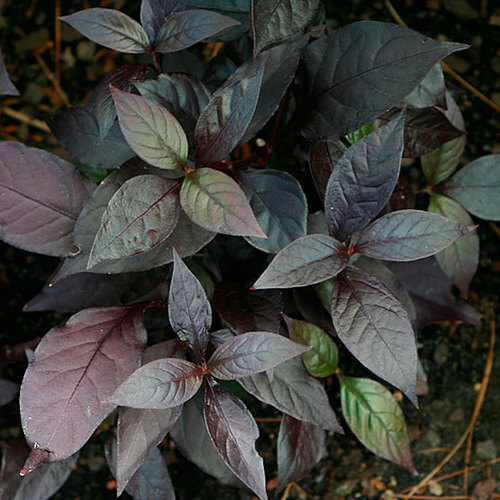 Seedlings will vary in leaf color. Divide in spring. 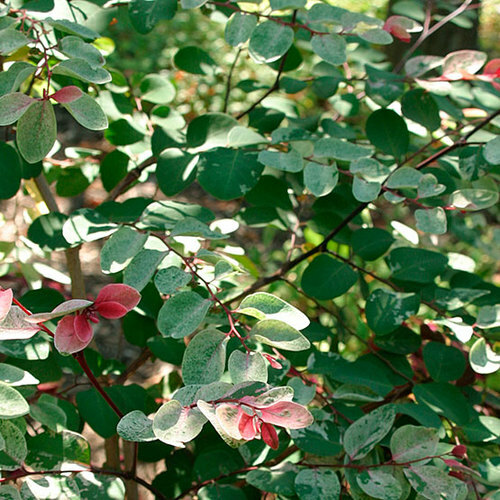 Take cuttings in late summer. Overwinter young plants under glass. ProblemsSpider mites and Fusarium wilt may be problematic.